I tend to only use fresh tomatoes in the summer when they’re in season, partly because that’s when they taste the best. They’re also nutrient dense when they’re in season, especially when locally grown. They taste amazing sliced up with some good sea-salt, basil and olive-oil on a slice of black rye bread. That is how I would eat tomato sandwiches back home in Denmark, -and I still do. 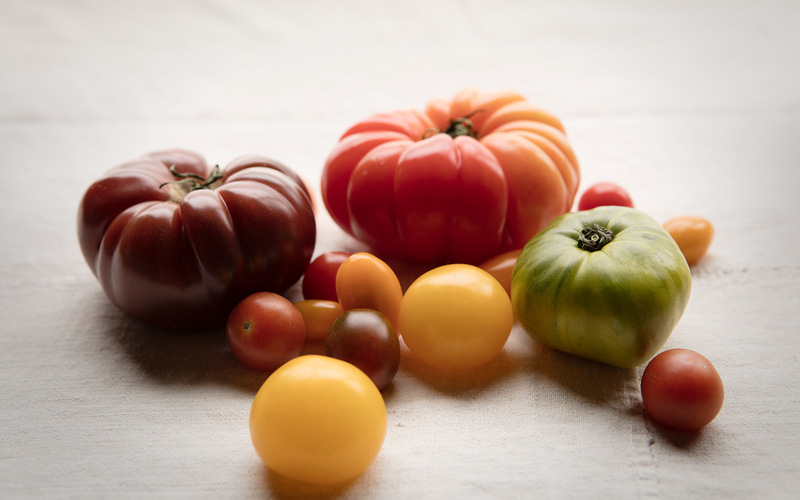 However, tomatoes are in the nightshade family, which means more acidity. Though they are high in nutrients, tomatoes are also high in alkaloids, which can add to acid reflux, arthritis, and other digestive and inflammatory issues. Cooking tomatoes reduces the alkaloid levels, which is why a quick saute is a nice way to serve them while also bringing out more flavor. For winter time eating of tomatoes that is what I suggest, cooking them. Slice 1/2 a large tomato. Mash an avocado, and add sea salt and freshly ground pepper. Add lemon if desired. 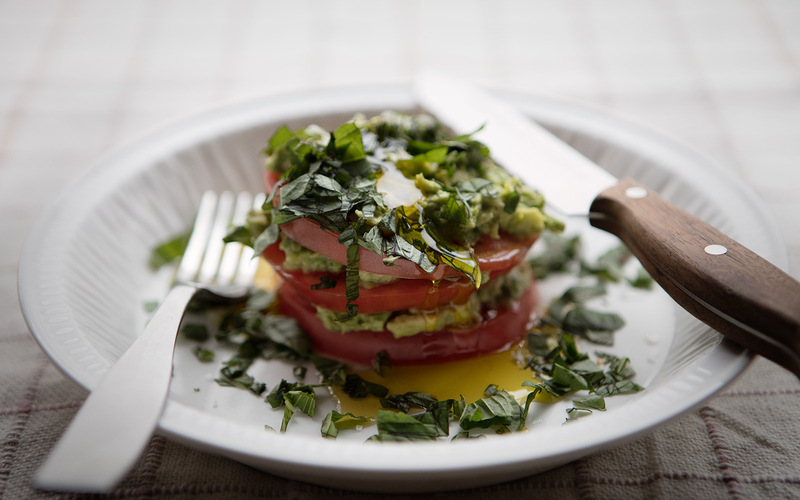 Spread the avocado on the tomato slices and stack. Add a bit of olive oil and chopped basil on top. Serve. Linger. Pause. Taste. Enjoy.